When it comes to choosing motorcycle-related parts, there’s almost always a dilemma between multiple items. 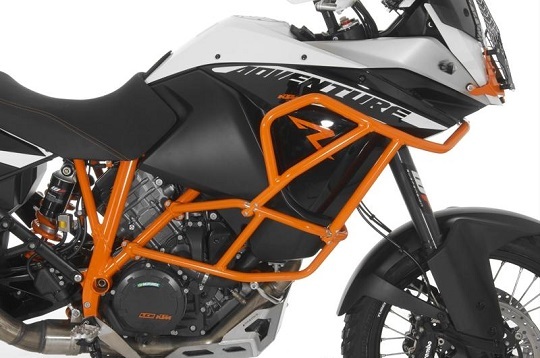 So when it comes to picking engine and frame protection, it’s definitely not an easy pick, even though there are only two obvious choices – crash bars and frame sliders. And while both of them provide great protection in one way or another, there are certain advantages and disadvantages of buying either one. Even though some people argue that crash bars look pretty bad on most street bikes, there’s no denying that they offer the ideal amount of protection. Typically, motorcycle crash bars are made from durable materials, such as steel. Furthermore, they’re built with several holding points which help to greatly distribute the transmitted force, thus preventing the force of a crash from being focused on a single point of the bike. Depending on the type of bike they’re made for, and the manufacturer, their prices can greatly vary. However, they’re considered to have a weak spot against the engine, which you can fortify by fitting a set of engine covers. Crash bars are extremely important when riding off the road. They help disperse the force of impact in case of a crash. The right crash bars can help save the frame, engine and even the gas tank. In other words, your most precious parts will be kept intact. So even if your handlebars bend, your windshield gets smashed and your forks get bent, you can still make it home (unless you manage to damage your tip sensor). Frame sliders are ideal for street bikes. The main reason behind that is because they can actually slide on the road surface, whereas they’ll probably “dig in” in a soft surface, and cause the bike to completely flip over and cause a more violent impact. Frame sliders protect you through dispersing the impact from the crash all across the frame and through the engine. 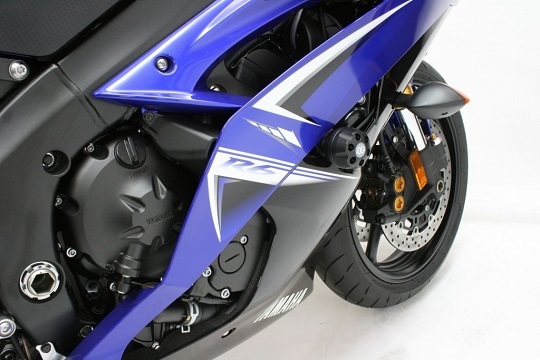 The goal of motorcycle frame sliders is to elevate the bike just enough so that crucial parts are away from the ground, but not so much as to make the bike roll or flip. Frame sliders come in different lengths. Shorter sliders are better for frame and engine protection, simply due to the fact that they don’t lever the bike much off the ground, and they don’t make the bike flip over in a crash. Longer sliders, on the other hand, offer better protection to the plastics and your tank. Moreover, they have more material to sacrifice when you crash, so your actual bike parts will be better preserved.